It’s that time of year where everyone’s thinking of making home improvements before Christmas, and I’m more than a little obsessed with midcentury style pieces and anything Mad Men inspired for the home. If you’ve seen my room in my Youtube videos, you’ll know what I mean! That’s why, when I saw the new House of Fraser home lookbook, I fell in love with their ’60s inspired collection, and had to share it. My very favourite multi-faceted vase from the collection comes in at just £12, so changing your rooms can be super simple! These rooms are so what my boyfriend and I are going for in our flat, and it’s an easy look to replicate. 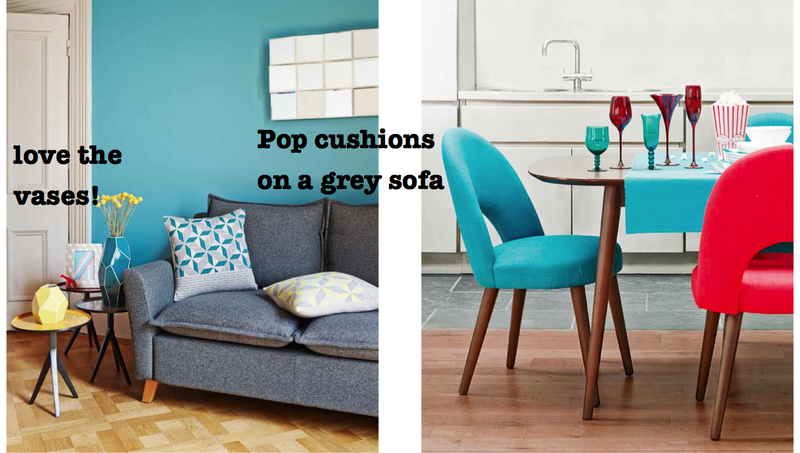 Having a grey sofa too, we liven it up ’60s style with geometric cushions (which I’m sure you’ve seen in my videos!) These Linea Graphical Rhythm knitted cushions are £25 each, and like the lookbook, it only takes a couple to change a whole room. Again, my favourite pieces are the vases (which could make great Christmas presents too), and at £12 each for the mustard and the teal, these add a nice colour pop and extra interest. 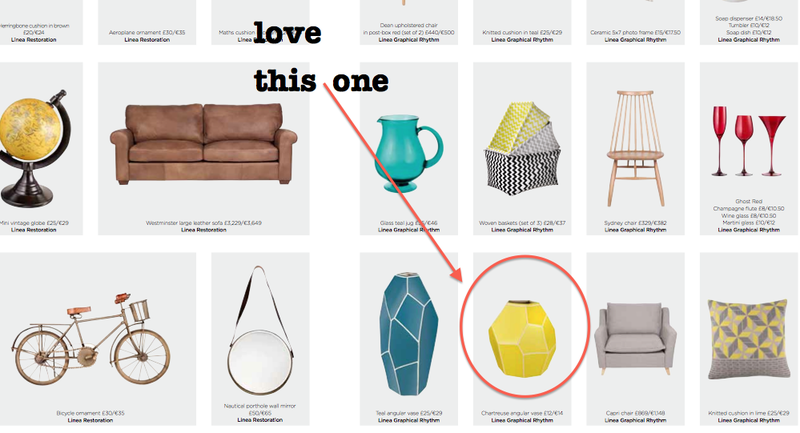 There are some great affordable pieces to pick up from the collection, all it takes is a pop of colour or print here and there to transform your room. Our flat came part-furnished with all glass, grey and chrome furniture so we’ve added little 60s details to make the rooms even more cohesive and Mad Men! This bedroom looks instantly better with the patterned bedding, and the plain bathroom is given a 60s spin with plenty of chevron. 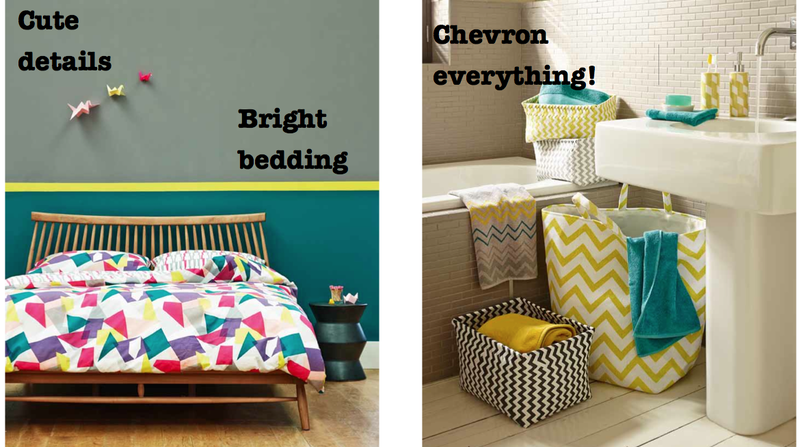 A set of 3 chevron storage boxes is just £28 and will keep all your belongings tucked away, while looking on-trend. The chevron towels start at just £3 which is great and the chevron hand towel is £10, so if you don’t want all your linen patterned, you could just pick out one or two as ‘accent towels’. I know that’s what I’ve done! To pick up anything from the Graphical Rhythm collection, just click here. A lot of the items from the lookbook are now in the sale!